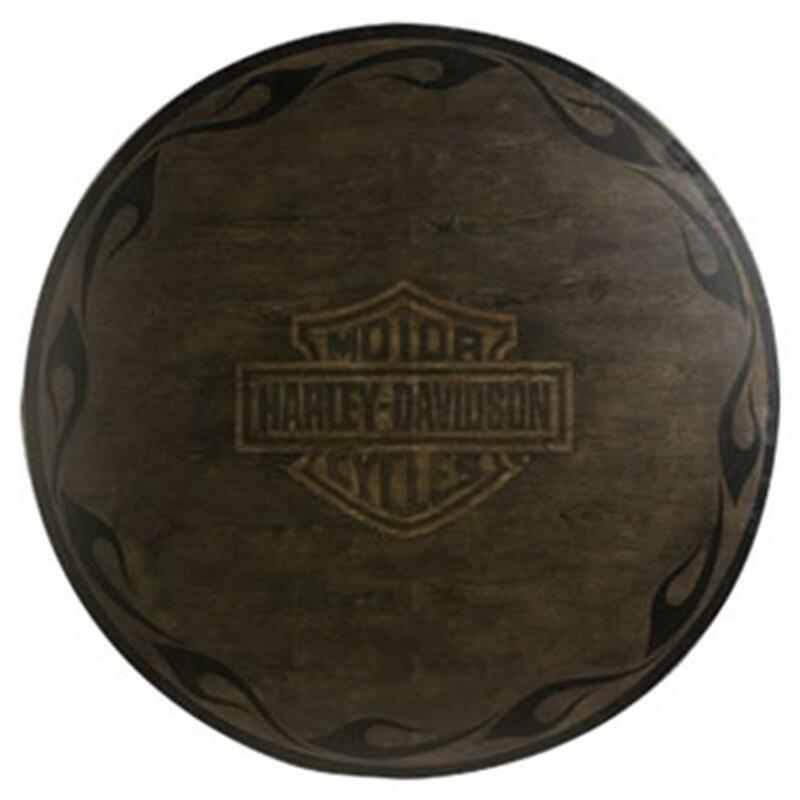 Harley-Davidson™ Bar & Shield Flames Table & Chair Set - California Car Cover Co. 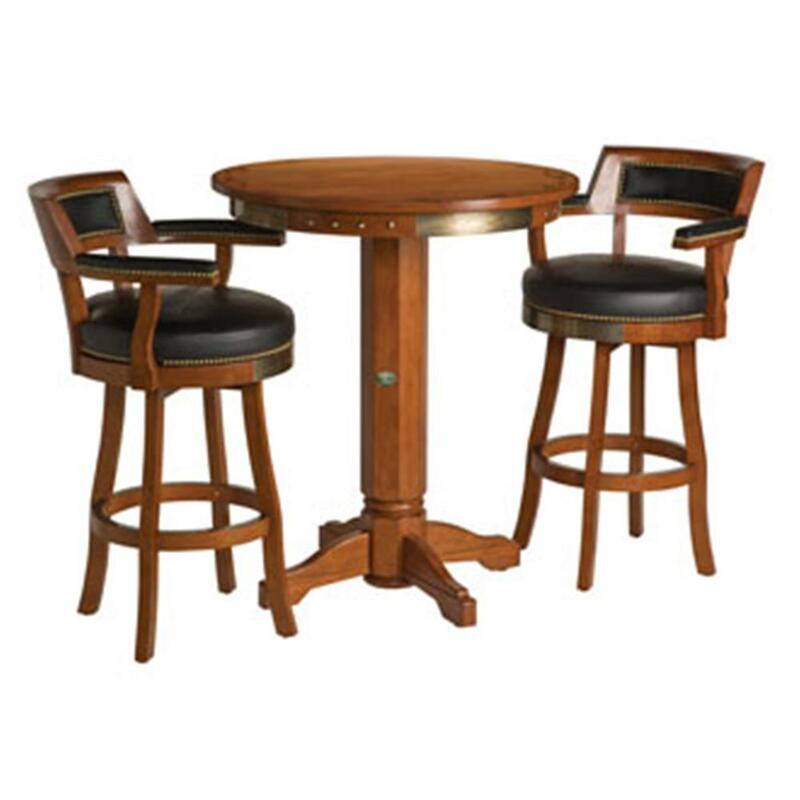 The Harley-Davidson® Bar & Shield Pub Table crafted from North American hardwood is tasteful and stylish. 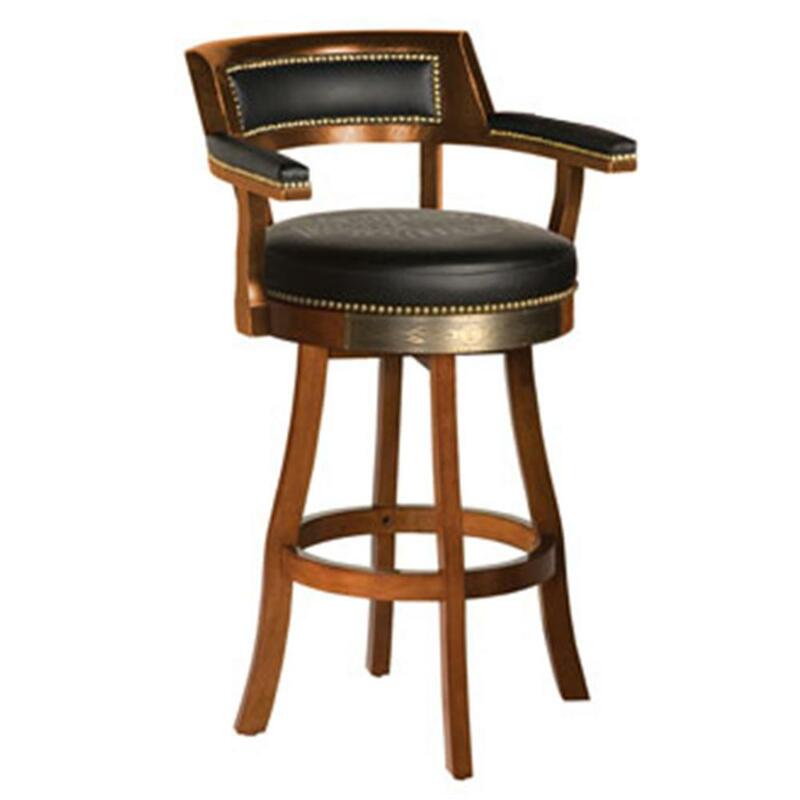 Embossed Bar & Shield in the center of the table surrounded by a ring of beautiful hardwood inlay flames creates a subtle, yet striking combination. Hand set metal studs and custom etched Bar & Shield flame metal plates alternate around the apron. 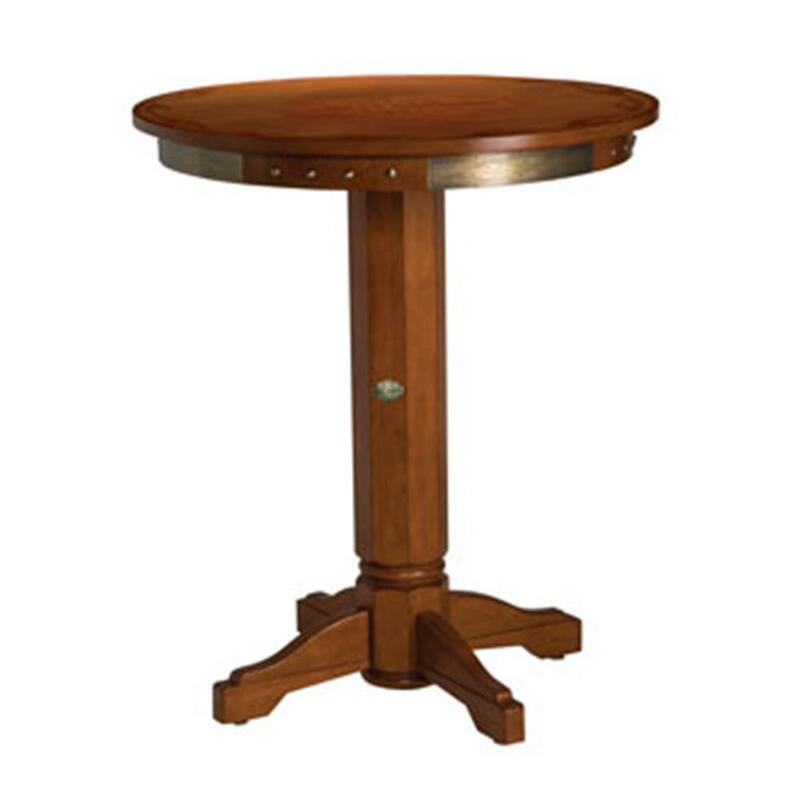 Pedestal base also features cast Bar & Shield medallions. 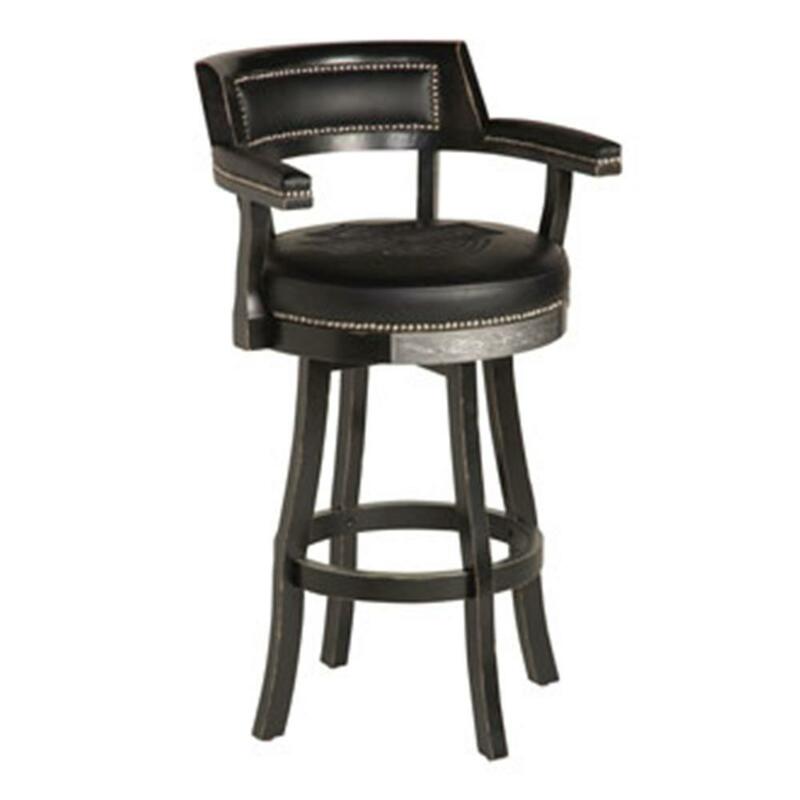 The distressed Vintage Black design features antique pewter accents, the Heritage Brown finish is highlighted with antique brass accents, and both include a hand rubbed finish for an authentic look. Easy assembly required. 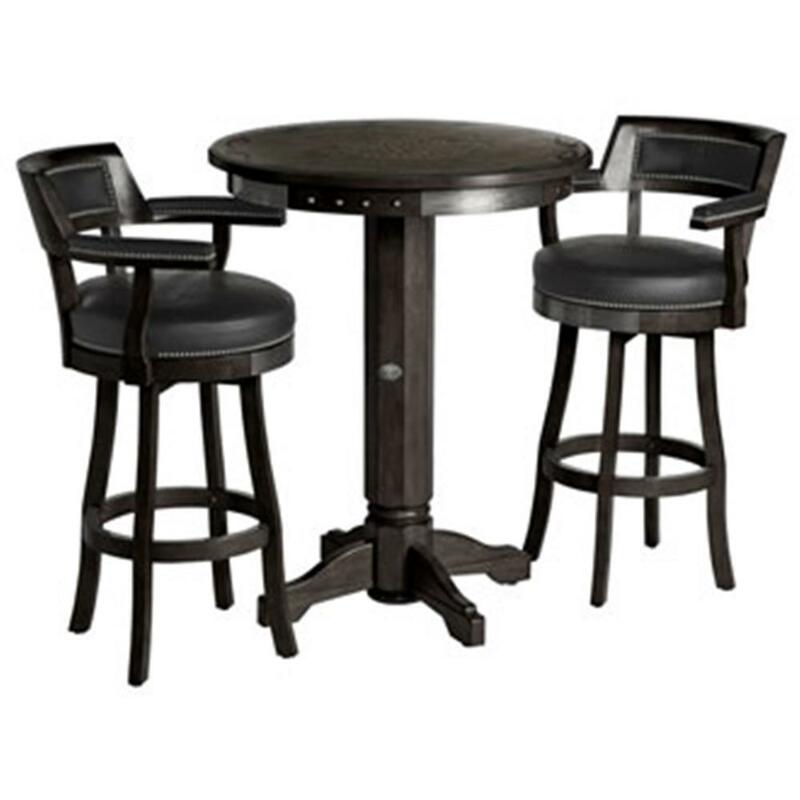 Dimensions: Pub Table - 42" (H) x 36" (Diameter) Bar Stools - 42.75" (H) x 24" (W) x 24" (D).